"It is kind of important to my results if you could confirm that the Teflon Rubber gaskets are installed as illustrated in the attached model." I think what you are talking about is the initial pressure seal design for our aluminum frustum cavity that later went to a silicone O-ring and metal to metal compression shorting pad just inside the O-ring for both the large and small OD ends of the frustum. The Eagleworks copper frustum is not a gas sealed unit, so all it has for its large and small OD end-cap interfaces are copper metal to copper metal interface with #6-32 brass cap-screws, nuts and bronze internal star lock washers spaced an average of 1.0" apart on the frustum's 0.50" wide copper flanges. As to the average air gap between these copper flanges due to their out of plane irregularities, (These copper flanges are only 0.040" thick. ), my guess is that it can be no larger than 0.002" midway between the cap-screws. "Right now, I am using a 12.5 mm coaxial dipole antenna at the inner face of the dielectric disk. I know you used a loop of some sort. How much do you think this difference matters considering that I am running a digital model?" I've used various OD magnetic loops made from #20 AWG copper magnet wire soldered to SMA bulkhead connector that is mounted on the copper frustum's conical side wall, 15% of the of frustum Z-axis height from the large OD end of the frustum cavity, see attached picture. Currently we are using a 14.0mm OD loop antenna for our TM212 work at 1,937.118 MHz work. "And while I'm at it, I read that the vacuum chamber is 30 inches by 36 inches, diameter by length. Is that inside or outside dimensions?" The Eagleworks vacuum chamber interior dimensions are as noted except the distance front aluminum door to the rear domed portion of the 304L stainless steel spun end cap is ~38.0", see attached Kurt J. Lesker drawing. However, Our vacuum door is hinged on the right side of the chamber as viewed from the door end. You seem to ask a lot of "why" questions that could be better answered by getting yourself in the lab and finding out the sought after answers for yourself. Be that as it may, the main reason that we went with the lower-Q TM modes was because they consistently produced higher thrust levels for a given input power than the TE modes. I will grant you though that getting the most thrust out of a particular resonant mode depended very painfully on the size, placement and rotational orientation of the loop antenna in the frustum cavity. And it may just have been that I didn't know how best to optimize their operations at the time, since this has been a rather large learning experience for me over these last three years in the Eagleworks Lab. When using our current 14mm loop antenna optimized for the TM212 resonance at 1,937.118 MHz in our copper frustum, there were four RF resonances spaced +/- 30 MHz around the 2.45 GHz center frequency. And I assume that would also be the case using a higher power slot antenna in a similar location as the Chinese and Shawyer have done with their frustum resonant cavities. So yes, a wide bandwidth RF source seems to be called for and one that can be both AM and FM modulated at the same time. From my readings to date, that appears to be a hard nut to crack for solid state RF amplifiers at the desired kW power levels due to their limited RF power bandwidth capabilities, so we may be forced into using magnetrons and just learn how best to feed their 4-to-20 kV high voltage anode requirements while working in a hard vacuum. However the more difficult problems are finding ways of reducing their mass and size so we can "fly" them on our torque pendulum. Cooling the magnetrons in a hard vacuum is also another problem we need to deal with since air cooling is out of the question and liquid cooling is a giant pain to deal with as well. About the only other way to cool these beasts in a hard vacuum is to use phase change material like paraffin wax that could give us several minutes of run times before we had to let the accumulated heat in the paraffin radiate to the vacuum chamber walls. BTW, the paraffin wax phase change cooling was used to good advantage on the lunar moon buggy used by NASA astronauts during their lunar explorations in the late 1960s and early 1970s during the USA Apollo Moon program. When I was in charge of R&D laboratories for private companies I always welcomed such questions, particularly questions from outsiders that perhaps had not been asked by internal staff, because the purpose of R&D is always to find the truth as fast as possible, hence I saw it as a great benefit to our R&D efforts to get such questions. That was also the attitude of the Professors at MIT, I was lucky to work with. There may be a more conventional reason for the Q to decrease. 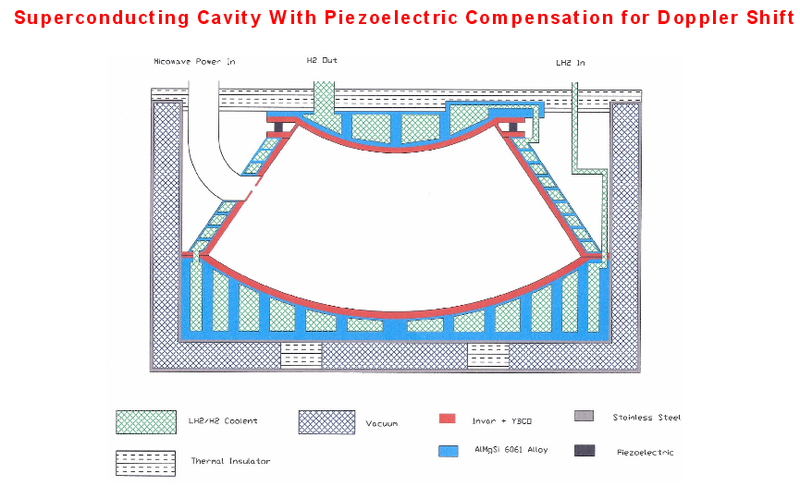 Excess RF power may just be getting dissipated inside the cavity as heat. If the Chinese test device was in a static test fixture, like a torsion balance, and there was no movement in the direction of the measured force, then no work was done. BTW, thanks much for the pointer to the 2014 Chinese report. Is there an English translation of same out in public yet? I have only seen the Chinese original that I attached. As to translations, my experience is that it is always best to seek a meaningful translation from people skilled in the art: in this case from people conversant in the language of the paper who are also engineers/scientists in the same field discussed by the paper. Good good, very good. I have ran many cases, attached find a curve showing the EM Thruster force sensitivity to gap size. Ignore the units - this curve is only representative of force .vs. gap size for what I would consider to be a bare thruster in isolation, perhaps in orbit for example. But do note that the smallest gap corresponds to 0.011 inches, significantly larger than 0.002 inches. This was a 2D meep simulation, limited by the computer power of my home desktop machine. Thank you - I'll look again at my antenna placement. Unfortunately I don't know of a way to simulate the loop antenna in 2D if it is not coplanar. The dimensions of the EM Drive are needed to estimate thrust in your formula as well as Shawyer's and McCulloch's formula. I could not find all the dimensions needed of the Chinese EM Drive tested by Prof. Juan Yang in any of their Chinese papers. My recollection is that @aero also tried to look for those dimensions in the Yang papers translated to English, and was unable to find the dimensions either. We (colleagues in Thread 1 and 2 of EM Drive Developments at NASA Spaceflight.com) never worked out an estimate for the dimensions of the Chinese EM Drive as it was done for the estimates of the NASA Eagleworks truncated cone (an estimate by @aero and @Muletron that turned out to be very close to the actual dimensions recently reported by Paul March) or for Shawyer's Experimental and Demonstration truncated cones. Dr. McCulloch has used the same dimensions for the EM Drive tested by Prof. Juan Yang as the dimensions of the Shawyer Demonstration EM Drive (see http://physicsfromtheedge.blogspot.com/2015/02/mihsc-vs-emdrive-data-3d.html) to estimate thrust of the Chinese EM Drive, and gets a reasonable comparison. If we assume that the drawing from the Chinese paper is to scale, that gives us the ratios of the dimensions, and as a consequence we only need to estimate one of the dimensions (for example one of the diameters). It looks from this drawing (see below) that the axial length of the Juan Yang truncated cone is significantly shorter than the small diameter, and therefore the Juan Yang truncated cone is significantly different from the one tested at NASA Eagleworks and Shawyer's Demo and Experimental truncated cones. It looks from this drawing (see below) that the axial length of the Juan Yang truncated cone is significantly shorter than the small diameter, and therefore the Juan Yang truncated cone is significantly different from the one tested at NASA Eagleworks and Shawyer's Demo and Experimental truncated cones. Which means to me that the mode is probably like TX y,z,1. That is, the cavity is only one-half wavelength in height. These kinds of printers are capable of working with a variety of materials, including aluminum, steel alloys, inconel, titanium, etc. I suspect hybrid manufacturing of an Inconel cavity or other alloy could be the easiest, least expensive way of acquiring high precision resonance cavities with relatively consistent operational characteristics, but I have no idea how much it costs to work with these sorts of machines. As I have remarked before, to make high quality precision cavities, all you need is a spinner machine from the 20th century. Just spin the copper sheet metal over a steel mandrel, then punch-press the end caps, or use the same circuit boards that Eagleworks uses. 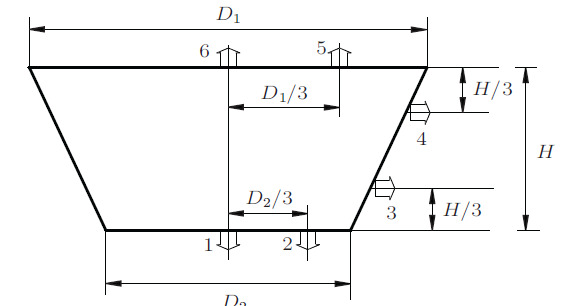 Problem with the circuit board is that the gaps are in the horizontal direction which is less efficient at producing thrust than gaps in the vertical direction. At least that is true if meep and the differential Maxwell equations are correctly characterizing the forces. Making cavities in this way should cost less than $5 each once the machinist has been paid for turning out the mandrel and the punch tools. Of course we could ask Mulletron for an estimate of the cost of copper sheet in bulk, it might be more. A 3D printer that would enable fabrication of an EM Drive with spherical ends and a cone half angle~35 degrees or higher would be most advantageous (Invar, as you suggest because it would greatly reduce thermal expansion, and hence allow easier tuning to a stable natural frequency). Also one that would allow fabrication of a superconducting cavity (Invar+YBCO). The question as to whether the EM Drive could be coupling to the Axion background came up on a different forum. I am dubious, and thought it would be useful to post why. However, there is an easy test - just take an EM drive to the University of Washington, and see if you get a reaction from the ADMX. That should done at some point if the drive continues to pass experimental muster. Not found: The axions you are looking for do not exist. In the late 20th century, cosmology became a precision science. Now, at the beginning of the next century, the parameters describing how our universe evolved from the Big Bang are generally known to a few percent. One key parameter is the total mass density of the universe. Normal matter constitutes only a small fraction of the total mass density. Observations suggest this additional mass, the dark matter, is cold (that is, moving nonrelativistically in the early universe) and interacts feebly if at all with normal matter and radiation. There’s no known such elementary particle, so the strong presumption is the dark matter consists of particle relics of a new kind left over from the Big Bang. One of the most important questions in science is the nature of this dark matter. One attractive particle dark-matter candidate is the axion. The axion is a hypothetical elementary particle arising in a simple and elegant extension to the standard model of particle physics that nulls otherwise observable CP-violating effects (where CP is the product of charge reversal C and parity inversion P) in quantum chromo dynamics (QCD). A light axion of mass 10−(6–3) eV (the invisible axion) would couple extraordinarily weakly to normal matter and radiation and would therefore be extremely difficult to detect in the laboratory. However, such an axion is a compelling dark-matter candidate and is therefore a target of a number of searches. Compared with other particle dark-matter candidates, the plausible range of axion dark-matter couplings and masses is narrowly constrained. This focused search range allows for definitive searches, where a nonobservation would seriously impugn the dark-matter QCD-axion hypothesis. Axion searches use a wide range of technologies, and the experiment sensitivities are now reaching likely dark-matter axion couplings and masses. This article is a selective overview of the current generation of sensitive axion searches. Not all techniques and experiments are discussed, but I hope to give a sense of the current experimental landscape of the search for dark-matter axions.